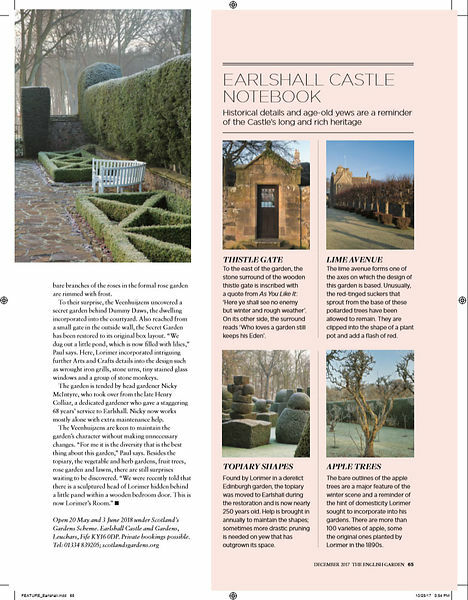 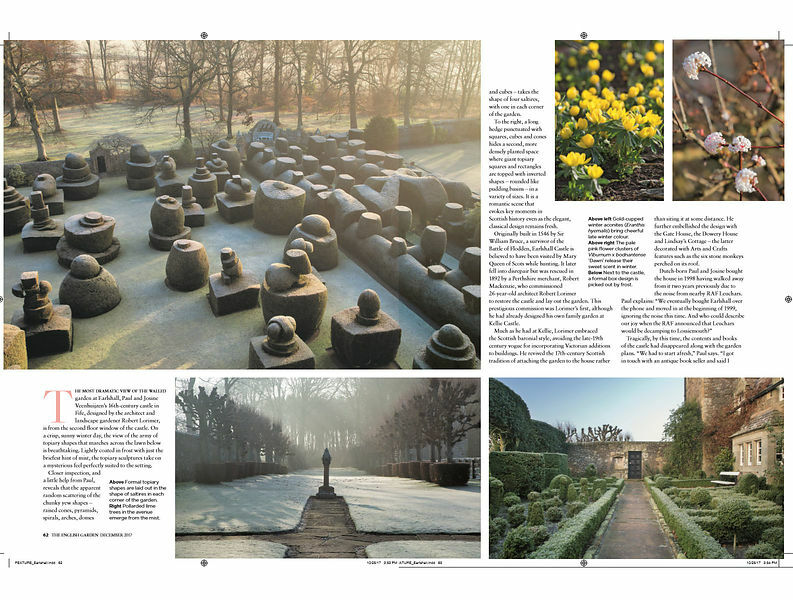 Our spread in The English Garden magazine of Earlshall garden in Fife, Scotland. 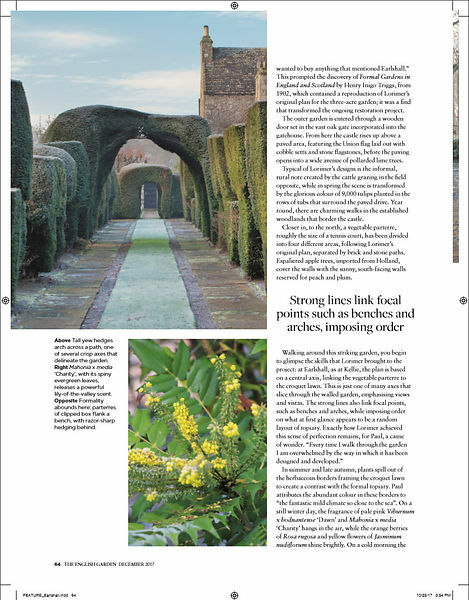 Unrivalled topiary lawn and other awe-inspiring structure make this one work particularly well in winter. 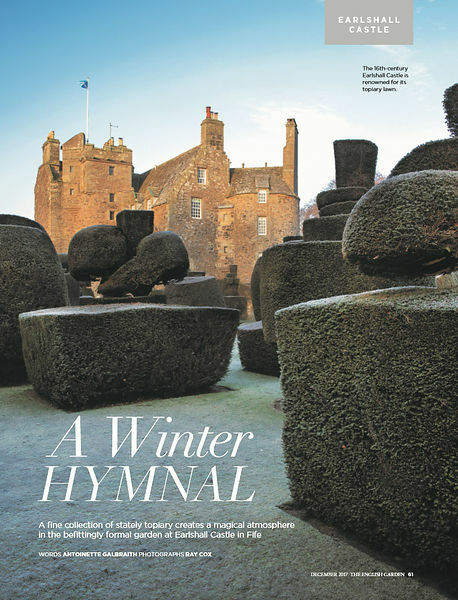 Open under Scotland's Gardens in May and June 2018.